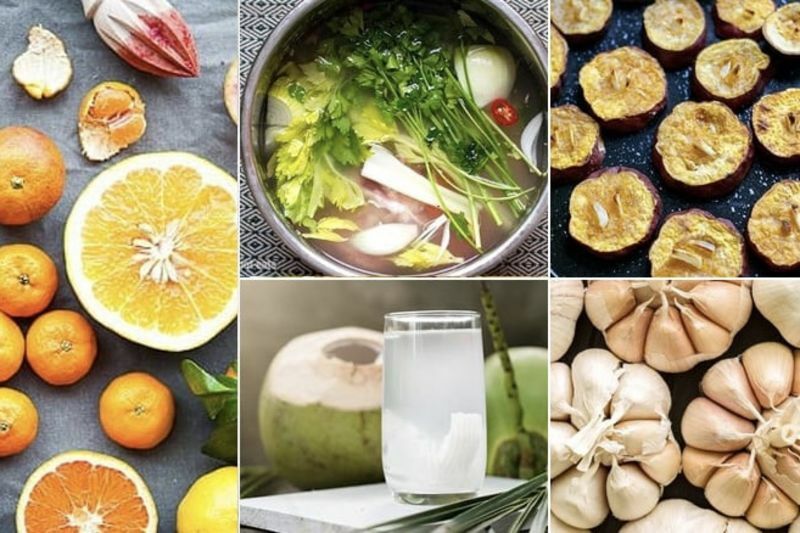 Here are the best foods for a cold or flu that you should put in your shopping cart ASAP. You always hear it and it's because it's true. Mostly found in citrus fruits and vegetables like oranges, broccoli, tomatoes and papaya, get your daily vitamin C intake with natural foods. Ginger contains chemicals called sesquiterpenes that specifically target rhinoviruses, the most common family of cold viruses. Adding a couple of tablespoons of shredded ginger root to your tea can do the trick. Kefir is loaded with probiotics that strengthen your immune system, with more protein than yoghurt and milk, it also regulates digestion, enabling your body to actually use all the kilojoules and nutrients you consume. The resveratrol and polyphenols in red wine work the same way that beneficial bacteria in yoghurt do. When cold and flu viruses enter your system, they start to multiply, and these compounds prevent that from happening, grab a bottle of pinot noir. Tests have found it to have some of the highest levels of resveratrol. Video: Chicken Licken's New Ad Will Infect You With The Craving!